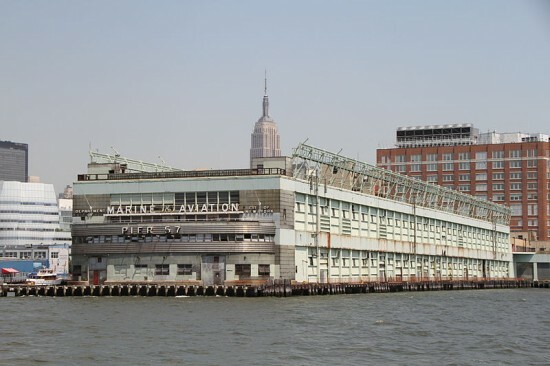 Pier 57, recently renamed the “SuperPier,” has received a $225 million loan from PNC Bank, according to a source close to the Commercial Observer. The $350-million project by RXR Realty and partner Youngwoo & Associates is set restore this old shipping and bus terminal. 560,000 square-feet of mixed-used development will be the result. Around 480,000 square-feet has already been set aside for office blocks. Google has managed to secure 250,000 square-feet of that space when it signed a 15-year lease, as reported by the Wall Street Journal. So far, there’s no word on who’ll be Google’s neighbors. A food market run by celebrity chef Anthony Bourdain will occupy 100,000 square-feet. 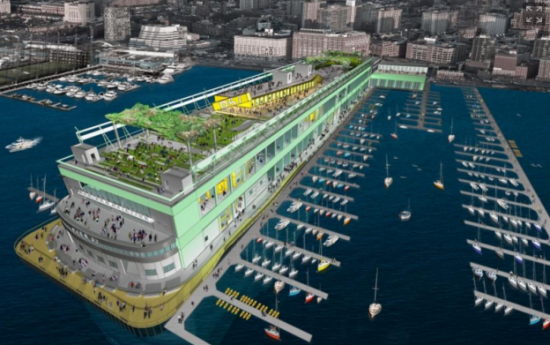 Speaking to The New York Times, Bourdain said the food hall will feel like “an Asian night market.” In addition, 80,000 square-feet will make up the public park that will housed on top of the pier while promenades on which the public can walk will take up 34,000 square-feet of the structure.